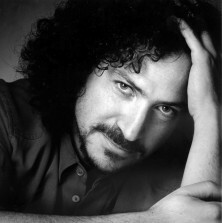 David Berman is internationally-acclaimed for presenting keynotes, workshops, seminars, and books that change attitudes. He has recently been named a high-level advisor to the United Nations on how to use design thinking to help fulfill the Millennium Development Goals. As an author (Do Good Design ...foreword by Erik! ), expert speaker, design thinker, and typographer, David's professional work has brought him to over 25 countries. His clients include Accenture, IBM, and the International Space Station. David's work includes award-winning projects in the application of plain language, custom typeface design, and airport wayfinding. In 2000, David led the development of a code of ethics which embraces social responsibility and sustainable practice for graphic designers in Canada. This led to his involvement in developing similar standards for national bodies in USA, Norway, and China. He served as the first elected president of the Association of Registered Graphic Designers of Ontario, North America's first accredited graphic design organization, drafting the association's constitution and Rules of Professional Conduct and authored Ontario's accreditation examination section on ethics and professional responsibility. He has served as the national Ethics Chair for graphic design in Canada since 2002. In November 2005, David Berman was elected to the board of the world body for graphic design and visual communications, Icograda, and was re-elected to a third term in 2009. How To Make The Planet Your Client: What's Next? Sustainable design: it goes beyond the environment. 95% of the designers who have ever lived are alive today, and so it's up to us to decide what our profession will be about. We live in a time of great fragility, yet there has never more hope, and designers have never had so much power. For the majority of humanity the Internet remains a rumour, but by the end of this decade most humans will be online. What will we choose to share with them: our style addictions or ideas the world really needs to share? We can change the world. Let me share my passion: let me tell you how. Don't just do good design, do good!